Virginia Cooperative Extension is hosting a bus tour to see cow/calf operations in the Piedmont that graze their livestock more than 300 days per year. The tour will take place on Thursday, February 26 (with a snow date of February 27). Anyone wishing to attend should register in advance by February 20. There is a $20 registration fee which is due in advance. Checks should be written to “VCE-Shenandoah County” and mailed to VCE-Shenandoah County, 600 North Main Street, Suite 100, Woodstock, VA 22664. 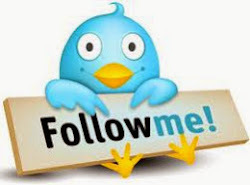 For questions, call Extension Agents Bobby Clark (540-459-6140) or Corey Childs (540-635-4549). The tour schedule is as follows: Thursday, February 26, 7:00 a.m., Bus departs Page Cooperative Farm Bureau in Luray, VA, for Woodstock; 8:00 a.m., Bus departs the Shenandoah County Extension Office in Woodstock, VA, for Front Royal; and 8:45 a.m., Bus departs from the Target Parking Lot in Front Royal, VA, for Piedmont. Our first stop is the Jay Marshall Farm near Marshall, VA. Mr. Marshall runs a 100 head cow/calf operation on about 200 acres. He has a single herd of cattle with both spring and fall calving cows. Mr. Marshall does not always achieve 300 grazing days per year but he has occasionally. He does not supplement any grain to his cattle. The second tour stop will be Carl Stafford’s Farm near Brightwood, VA. Mr. Stafford runs 30 cow/calf pair on 100 acres. For the past decade, Mr. Stafford has fed less than 30 round bales of hay to his herd. Many winters he has fed no hay and no grain. During the tour we will discuss how these farmers extend their grazing season, look at the cattle herds, discuss reproductive efficiency, weaning weights, replacement heifers, grazing systems, fertility programs, cost of hay, and related topics. We will also discuss a few other operations that have successful cow/calf herds and graze more than 300 days per year. Lunch and refreshments will be provided on the tour. There are 48,000 head of beef cows located on 1,574 farms in the Northern Shenandoah Valley. On average, cattlemen graze these cattle about 230 days per year and feed hay (or haylage or corn silage the remaining 135 days). 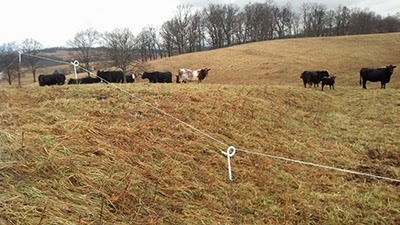 Technologies exist that extend the grazing season to 300 days or more. 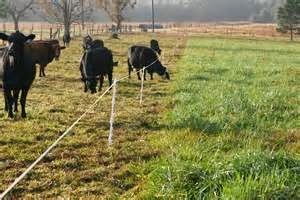 Extending the grazing season would reduce the farmer’s cost of producing, harvesting, and feeding hay. In addition, grazeable forage is typically better quality than hay. Thus, grazing cattle typically need fewer supplements than cattle eating hay. Other benefits include more uniform distribution of farm nutrients, reduced damaged areas (due to hay feeding), and improved water quality. Extending the grazing season will not fit every farm in the Northern Shenandoah Valley. For example, a longstanding farmer that has 100 cows on 175 acres and has 250 acres of row crops, custom bales hay, and plows snow for VDOT might need to reduce their herd size (and gross revenue from cattle sales) by 25 to 35 percent to achieve 300+ days of grazing with little reduction in fixed cost. However, a beginning farmer with access to 100 acres of grazing land may have a different economic outlook. The current high prices of cattle also likely make owning a few more cows more profitable even if a farmer needs to purchase a significant amount of hay. However, these high prices will not last forever. We estimate that at least 20 percent of the cow/calf farms in the Northern Shenandoah Valley could increase their profitability by about $25 per head by extending their grazing season to 300 days. This would improve net farm income on these farms about $240,000 per year. A special thank you to the following agribusinesses for helping to sponsor this meeting: AMVAC, BASF, Bayer Cropscience, Binkley & Hurst, CFC Farm & Home, Dow AgroSciences LLC, Farm Family Insurance, First Bank & Trust Company, Helena Chemical Co., Hubner Seed, James River Equipment, Lord Fairfax Soil and Water Conservation District, Mathias Brothers, MidAtlantic Farm Credit, Monsanto Company, Page Cooperative Farm Bureau, Pioneer Seed Company; Rockingham Cooperative Farm Bureau, Southern States – Front Royal, Southern States – Luray, Southern States – Winchester, Sygenta, The Chesapeake Bay Restoration Fund, Valley Fertilizer & Chemical Company, Virginia Farm Bureau, Wightman Insurance Agency, and Winchester Equipment Co.